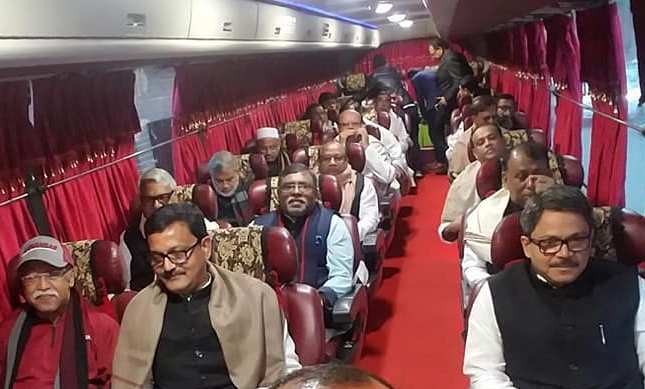 The members of the new cabinet have taken a bus ride to Tungipara of Gopalganj where they will pay homage to Father of the Nation Bangabandhu Sheikh Mujibur Rahman. They started their journey from National Parliament House at 7:00am on Wednesday. The cabinet members led by Prime Minister Sheikh Hasina will pay their respects to the Father of the Nation Bangabandhu Sheikh Mujibur Rahman at Tungipara on Wednesday on the occasion of installation of her government for the third consecutive term. Earlier on Tuesday, except for Hasina, all members of the cabinet took a bus ride to Savar and also on their way to return to the parliament on four air-conditioned minibuses.